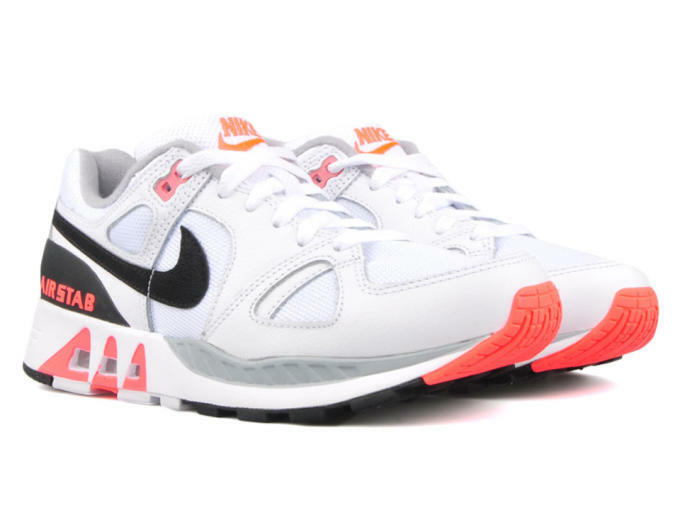 Kicks of the Day: Nike Air Stab "Hot Lava"
As the bottles keep popping for the Nike Air Max 90&apos;s anniversary, some of its most iconic colorways have started spilling over onto other classic silhouettes. 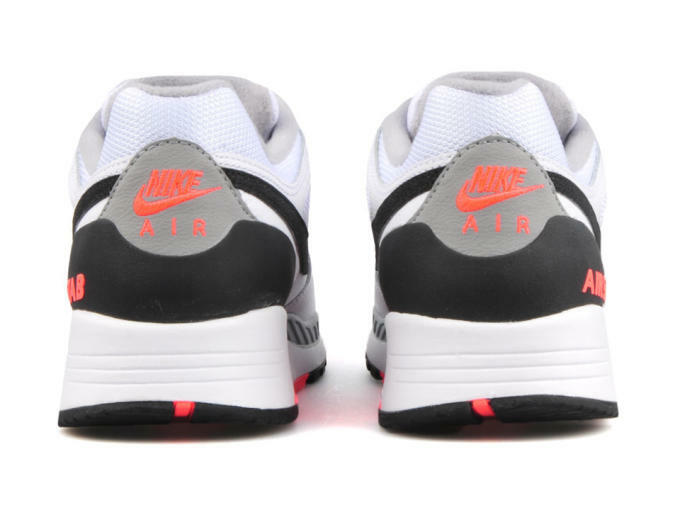 Featured today is the Nike Air Stab "White/Black/Hot Lava." Although it&apos;s not technically an "Infrared&apos;" shade, there&apos;s no denying the inspiration for this one. Composed of a mostly white mesh and synthetic leather base, this fiery Air Stab features "Hot Lava" accents, while black and grey overlays add contrast towards the heel. The result is reminiscent of 2013&apos;s Air Trainer 1 "Infrared," which employed a similar classic-meets-classic approach. Whether you&apos;re thirsty for that classic &apos;Infrared&apos; look or you&apos;ve just been anxious for a new take on the Air Stab, these are available now from spots like Bodega for $120.